For most companies, in-house fulfillment can be expensive and takes time to develop, while 3PL fulfillment can provide better, faster, cheaper more-predictable results. At the most basic level, 3PLs offer logistics services to support aspects of shipping operations and are typically integrated into a company’s warehousing and transportation procedures. Both asset-based and non-asset-based 3PLs help clients benefit from economies of scale and existing logistics networks. But 3PLs’ main value lies in their expertise, since these practitioners stay on top of industry best practices and technical developments and provide software with advanced reporting, inventory management and visibility. 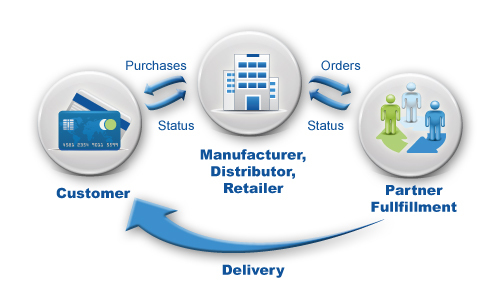 They also ensure continuous optimization, adjusting and improving each link in the supply chain. Scalability. 3PLs’ ability to scale fulfillment services up or down as needed is incredibly useful for helping retailers meet seasonal or holiday shopping trends and relieving the need for excess warehouse space and related costs. Enhanced transportation capacity. You’ve likely heard that trucking capacity is at a premium in the U.S. Working with a 3PL opens your firm to a network of thousands of already vetted less-than-truckload and truckload carriers, as well as options for shipping by rail, expedited and more. 3PLs keep track of freight payment and insurance documents and can also help lower your transportation costs while driving efficiencies. They take on the burden of handling paperwork, billing, audits, training and staffing. Better global shipping insight and options. A 3PL can take control of global shipping logistics (customs, freight forwarding, consolidation, etc.) and work to ensure all trade compliance requirements are met and costs are managed. Additionally, 3PLs can provide expertise into international shipping issues, managing and meeting documentation, customs, duties, and differing shipping regulations and requirements, as well as international shipping protocols. Information technology. A 3PL often uses information technology to manage ecommerce, customer relationships, transportation and warehouse operations. They employ tools like electronic data interchange (EDI), application programming interface (API) and cloud-based systems, with the goal of providing increased visibility to supply chain processes as well as in-transit shipments. Considering a 3PL? It’s wise to evaluate your organization’s inventory and typical business volumes and match your needs with a 3PL that can handle your current operations and scale with you, should your processes increase or decrease. Material handling equipment providers want to work with 3PLs to provide a comprehensive offering to their customers, which can range from a single service to a widespread bundle of services. With UNEX and a 3PL working together, your organization will gain value within its operations. Finances, performance and productivity will all be enhanced, helping your customers to gain a competitive edge.